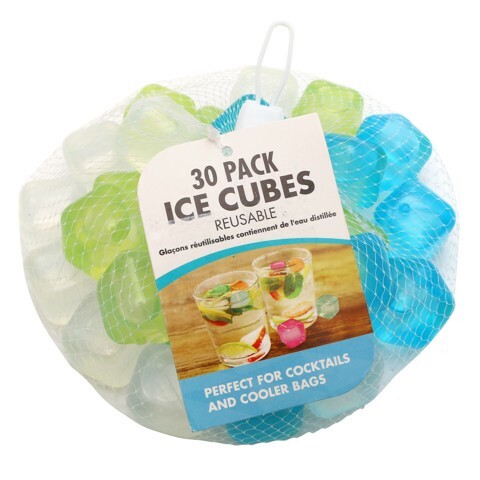 Ice Cubes Reusable 30Pk. Each cube 2.5 x 2.5cm. Clear | Blue | Aqua (green). PP . 425g Packaging: Net Bag with Swing Tag.